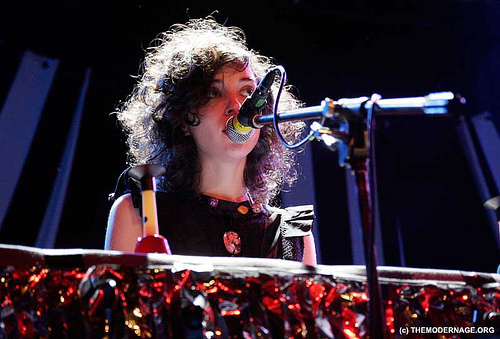 St Vincent headlined the Bowery Ballroom on Friday night and Candian chanteuse Basia Bulat played the opening slot. Now if you’re if you’re a regular reader of this blog, you know who I really went to see. Once again, Basia opened the show with a solo a cappella number (which I later learned, is actually a traditional tune). 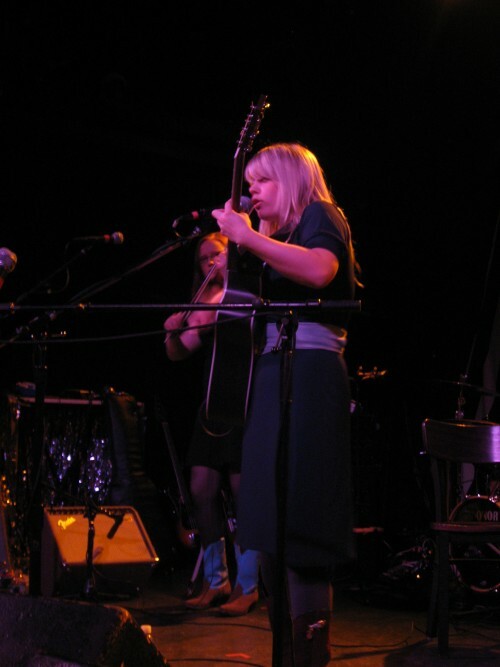 She played most of the tracks off of her just (domestically) released record, Oh, My Darling and one Daniel Johnston cover, (“True Love Will Find You In The End”). Now some Johnston purists may find this offensive, but I usually enjoy a Daniel Johnston song much more when someone else sings it, and this cover was no exception. “Snakes and Ladders” and “I Was A Daughter” are probably my two favorite tracks on the album, and once again I think they were also my favorite songs live. Though not my favorite track on the album, I enjoyed hearing “In The Night” live more this time around, it’s playfulness is a bit of a nice break from some of the other more serious (dare I say melancholy) songs in the set. All in all, I think Oh, My Darling is a very impressive debut record, and even though we’re just getting a taste of it now stateside, it’s been around for awhile in Canada (and Japan), so I figure it won’t be long before we start hearing some more great material from this young Londoner. Yes, Foreign Born played too, but I missed their set, d’oh. I love it. Laura at the Modern Age pretty much writes exclusively about Jack White and Ryan Adams (she used to write about Panic at the Disco too) and here she is, finally writing about other artists and what does she do? Compare them to Jack White and Ryan Adams. Basia is opening for DeVotchka at Terminal 5 in May. Can’t wait. I actually overheard someone mentioning Terminal 5 to Basia at the show, but I never asked her about it. I really don’t like that place much.